In general, many homeowners have no idea or awareness of the HVAC system brand operating in their home. Research shows that when it comes to replacing their existing HVAC system, up to 90% of homeowners rely on their local HVAC dealer to determine the best system and brand for their home. So, every day the local HVAC dealer’s reputation is on the line when they make a recommendation to a homeowner. Their business success depends on the trust between the homeowner and the HVAC dealer’s company. With that level of possible risk, dealers will strive to make the best decision and select the best brand for every homeowner they serve. And every day, more dealers choose Goodman® brand equipment. 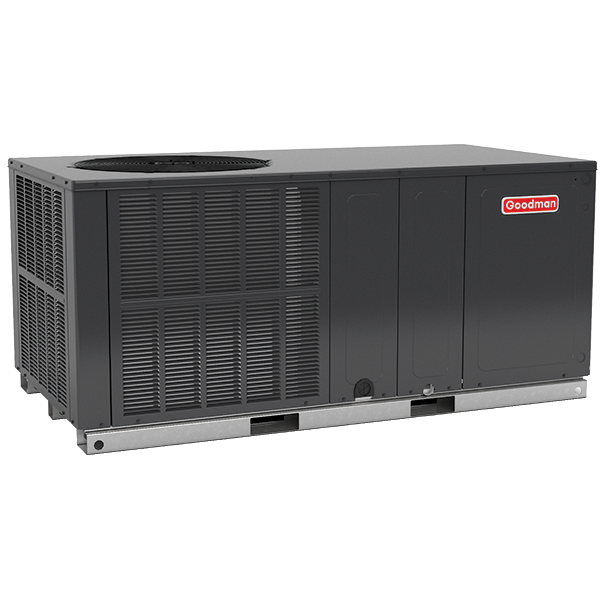 While it may not be a household name, yet, Goodman is a member of one of the leading manufacturers of residential, commercial and industrial HVAC systems and refrigerants. The brand has global resources and support to ensure that the best technology, manufacturing processes, testing and product limited warranties are applied in all the company’s products. Goodman takes great pride in our manufacturing quality. The Goodman brand product line is assembled in facilities that are ISO 9001- and 14001-certified, which is accepted worldwide as the independent standard for quality manufacturing, management processes and environment management practices. Goodman is investing in quality and in the U.S.A.
Goodman’s parent company has invested in quality and in the U.S.A. While many other HVAC manufacturers have moved production outside of the United States, Goodman invested $400M in a new state-of- the-art manufacturing facility located just outside of Houston, Texas. Goodman maintains a Better Business Bureau® A rating. We take pride in our products and in our ability to work with dealers and homeowners to resolve any complaints that may arise. That’s why the Goodman brand was awarded the Better Business Bureau’s® highest rating. 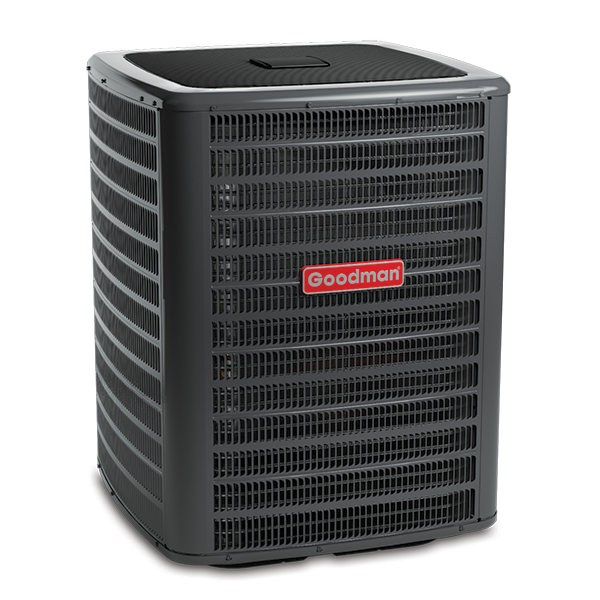 The A rating is based on 16 performance factors that reflect Goodman’s ability to work with homeowners to quickly resolve questions or concerns regarding the entire line of Goodman heating and cooling products. At Goodman, we believe in providing peace-of-mind. Goodman’s 20-Year Heat Exchanger Limited Warranty*, 10-Year Unit Replacement Limited Warranty*, the Lifetime Compressor Limited Warranty*, the Lifetime Heat Exchanger Limited Warranty* and a 10-Year Parts Limited Warranty* (on select products) offer homeowners peace-of-mind. The Goodman brand provides strong limited product warranty coverage for a reason. We build our products to provide lasting performance. We test each Goodman brand product three times, including an actual run test, before it leaves the assembly line. * Complete warranty details are available from your local dealer or at www.goodmanmfg.com. To receive the Lifetime Compressor Limited Warranty, Lifetime Heat Exchanger Limited Warranty (both good for as long as you own your home), 20-Year Heat Exchanger Limited Warranty, 10-Year Unit Replacement Limited Warranty, and 10-Year Parts Limited Warranty, online registration must be completed within 60 days of installation. Online registration is not required in California or Quebec. The Goodman brand has been recognized as an innovator, the industry’s heat transfer experts. Heat transfer is the core of any heating or cooling system — whether it’s adding heat to a home with a furnace or removing heat from a home with an air conditioner, Goodman is recognized as the industry’s heat transfer experts. The heart of Goodman brand furnaces is the heat exchanger. 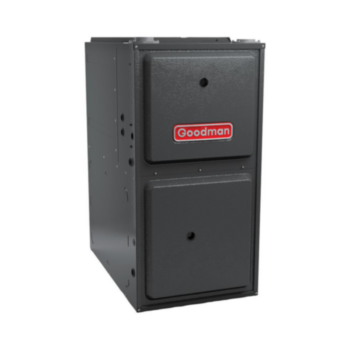 The tubular aluminized steel primary heat exchanger found in all Goodman brand furnaces is designed with wrinkle bend technology for outstanding durability and heat transfer.